The symbol of city of Mantua in northern Lombardy is not some fierce looking lion or regal eagle. No, Mantua is proud to have zucca (pumpkin) as the protagonist of its culinary heritage and tortelli di zucca ( pasta stuffed with pumpkin) as its most famous dish. This leads to the belief by many that Halloween was actually invented in Mantua! For hundreds of years, the Mantovani have placed carved pumpkins illuminated with candles along the roads leading to the cimiterio (cemetery). There, these lumere (lumineries) are said to help the souls of the dead find their living relatives who have prepared tortelli di zucca for them. Even Mantua’s most famous citizen, the gifted Roman poet, Virgil was a fan of pumpkin and during the Renaissance, the ruling Gonzaga family embraced the pumpkin thanks to Isabella d’Este, who it is said, asked her chefs to create pumpkin inspired dishes. Today tortelli di zucca are a must for the Christmas season and are always the first course for the Vigilia di Natale Christmas Eve. Generations have handed down their treasured recipe for tortelli di zucca, also known in dialect as tortei soca. 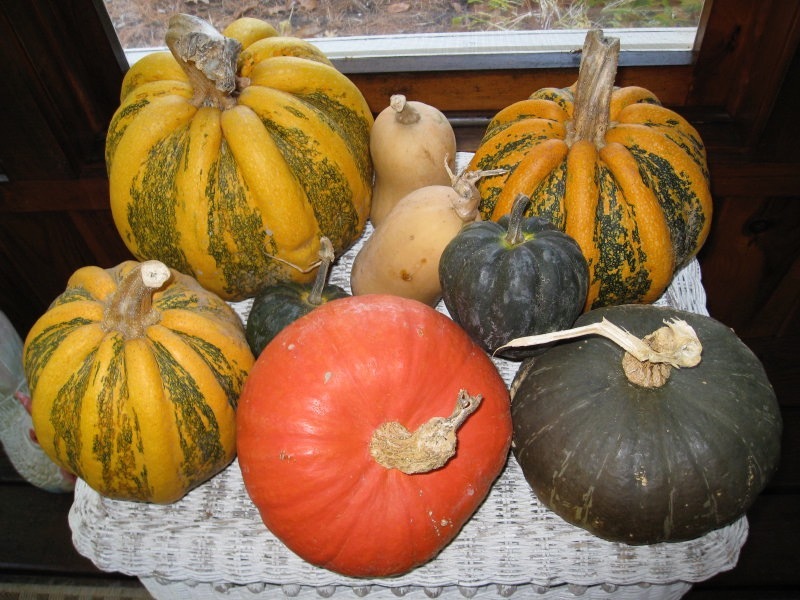 The pumpkin used for the filling is not the bright orange skinned types we see at Halloween but rather a dark forest green skinned type that shows its personality with rough bumps and knobs on its skin and an almost wood-like stem. It is not until one cuts into the flesh that the bright deep orange interior is revealed. When cooked, it is deliciously sweet and combined with crushed bitter almond cookies and a fruit mustard made with apples and sometimes pears infused with mustard oil becomes a filling for the tortelli di zucca. This concoction is mostarda montovana, originally made from quince cooked with sugar and mustard oil and is also a classic accompaniment to meats and cheese. It would be difficult to find this outside of Mantua but a good attempt at making it at home would involve three days of time cooking tart apples (and sometimes pears) with sugar after the mixture has marinated for two days and then adding drops of mustard oil after the apples have cooked. My suggestion is to substitute a good quince jam or a combination of quince and apple jam. In Mantua, pumpkin takes on almost a mystical quality and is one of the most important agricultural crops of the region.